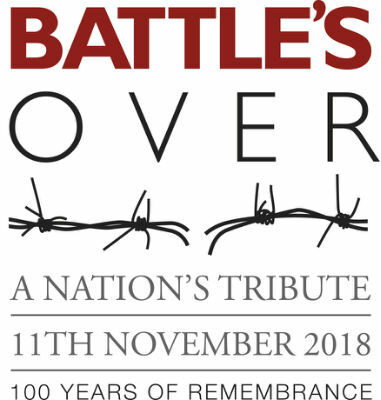 On 11 November 2018, 100 years since Armistice, as beacons blaze around the country, bells will ring out in unison from churches and cathedrals in villages, towns and cities across the country. You could be part of that by starting to learn to ring NOW – it takes 4-6 months, is a team activity that stimulates the brain and helps keep you fit. Ringers range in age from ten to eighty, are not necessarily church goers but need to be able to practice on Fridays 7.30-9pm (pub usually afterwards), and ring on some Sunday mornings (but not every one!). To mark the final year of the First World War centenary commemorations, 1,400 new bell ringers will be recruited in honour of the 1,400 bell ringers who lost their lives during the First World War. Church bells across the UK remained restricted throughout the course of the war and only rang freely once Armistice was declared on 11 November 1918. On 11 November 1918 the ringing of church bells erupted spontaneously across the country, as an outpouring of relief that 4 years of war had come to an end. We will honour that moment and the 1,400 bell ringers who died in the war, by recruiting 1,400 new bell ringers to take part in the commemorations next year. The campaign to recruit bell ringers, Ringing Remembers, will keep this traditional British art alive in memory of the 1,400 who lost their lives – linking together past, present and future. I had the privilege of ringing to celebrate two significant centenaries at the end of March. On Friday 23rd, we rang the bells at Yarnton to commemorate the centenary of the death of Yarnton Ringer Private William James Cox, who was killed in action at the Somme on 24th March 1918. On Sunday 25th, I rang at Black Bourton as part of a ladies band anticipating the forthcoming centenary of the RAF on 1st April and in celebration of the achievements of women in the WRAF and WAAF (including my own mother Doreen) and as lady fighter pilots in the ATA, including Mary Ellis, at 101 the last known surviving ATA pilot, and Molly Rose, who lived locally in Bampton for much of her life after the war. As a ringing teacher accredited by the Association of Ringing Teachers, I would love to share my passion for ringing with you. I am available, with other local ringers, to offer a free taster session any Friday at 7:30pm, except Friday April 13th, or other times by arrangement. Please contact me for further information, or come to St Mary’s Church tower on a Friday evening. For information regarding any aspect of bellringing at St. Mary's, please email our Tower Captain Alison here.